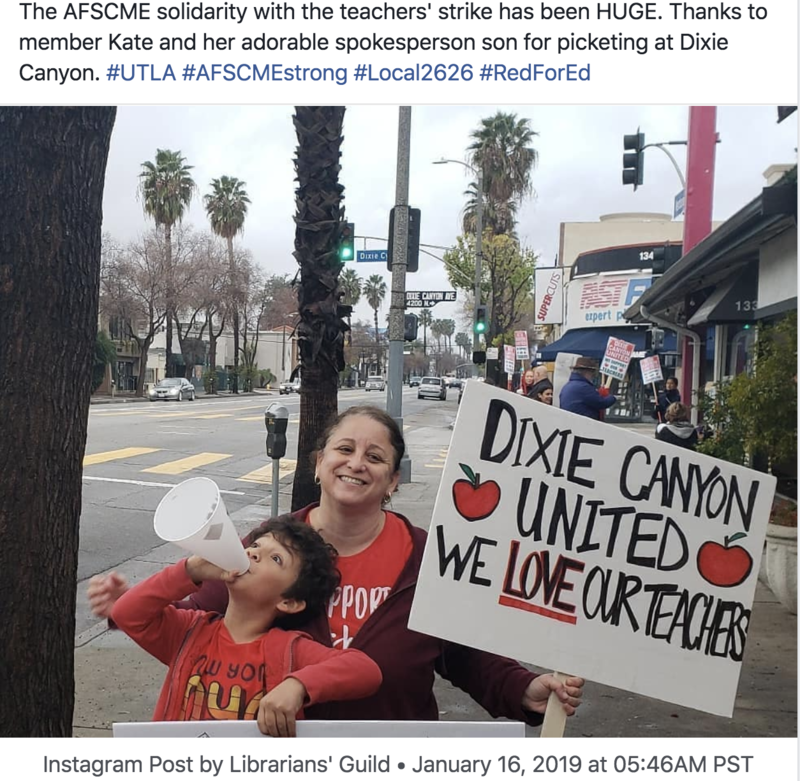 Our solidarity apparently has good company: Literally 82% of Angelenos polled say they support the teachers, according to breaking news reports. That will give UTLA additional negotiating leverage. In August, UTLA members authorized a strike with an overwhelming 98% yes vote—the highest strike authorization approval since UTLA was founded in 1970. This is the first UTLA walkout since 1989. Years of underfunding, the unregulated growth of the charter industry, and district neglect have starved our schools of necessary resources. More than 80% of LAUSD schools don’t have a full-time school nurse. 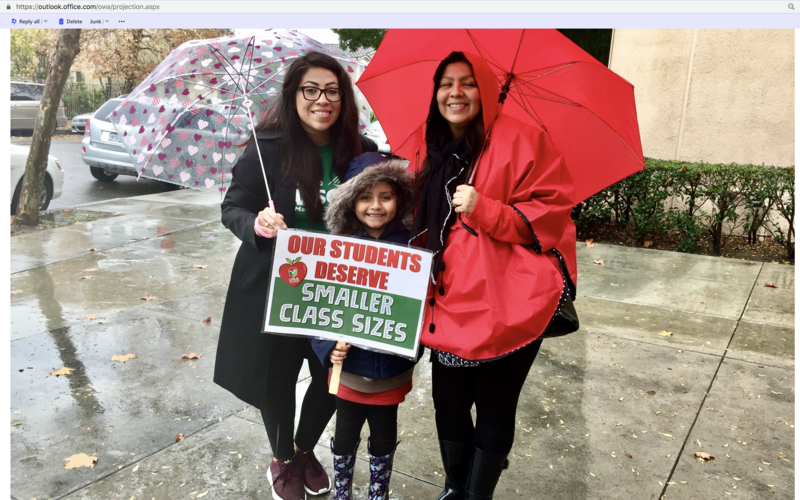 “AFSCME District Council 36 honors the teachers who have taken to the streets since Monday in a massive disruption of the unacceptable status quo in the second largest school district in the nation," said Darrin Spann, Interim Executive Director of Council 36. 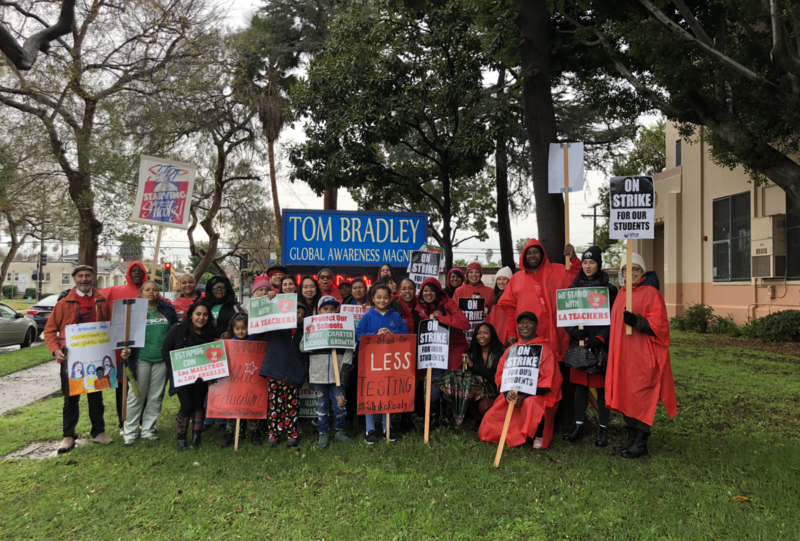 "We are enormously proud to stand with UTLA in demanding proper funding of public education and of all public services that ordinary people depend on for a decent quality of life." Photo Credits and a shout-out are due to Kate Aaronson of Local 2626, Jeanette Adams of Retiree Chapter 36, and Wendy Ruiz of Local 3090.